Dr. Sweet’s clinical research focuses on neuromodulation and the study of novel applications for neurotechnology with the use of Stereotactic and Functional Neurosurgery. As a Co-Investigator of the multi-institutional clinical trial of BrainGate2 Neural Interface System, Dr. Sweet is involved in the surgical implantation of the intracortical array for patients enrolled in the study at University Hospitals Case Medical Center. Dr. Sweet’s research also includes the study of deep brain stimulation (DBS) for the treatment of medically refractory bipolar disorder, for which she was awarded a KL2 grant. In addition, she has published in multiple peer-reviewed journals for her work in DBS for movement disorders, as well in neuromodulation for cognition, epilepsy, and pain disorders. She is on multiple leadership committees in ther neurosurgical and neuromodulation societies, and is currently involved developing the national neurosurgical guidelines for the management of pain and peripheral nerve disorders. She received her BS with Honors from University of Michigan, and her MD from Georgetown University School of Medicine. 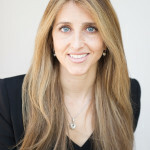 She underwent a Neurosurgical residency at George Washington University, followed by a Stereotactic and Functional Neurosurgery Fellowship at University Hospitals Case Medical Center where she is currently on the Neurosurgical Faculty and an Assistant Professor at Case Western Reserve University School of Medicine.